ANC MP Amos Masondo has been proposed to fill the vacant post of chair of Parliament’s Joint Standing Committee on Intelligence (JSCI) in a move that has raised eyebrows in opposition party circles. It’s one of the twists and turns at the national legislature where, with another three-week recess is coming up for MPs to electioneer. The pressure is on to deal with a chock-a-block in-tray. The Joint Standing Committee on Intelligence (JSCI) is the only parliamentary committee established in law – under the 1994 Intelligence Services Oversight Act – in a clear sign of how seriously the first democratic Parliament regarded oversight of intelligence services. But the committee that has become the only one, as a rule, to sit behind closed doors has not had a smooth path. Under its chair, ANC MP Cecil Burgess, the committee’s statutorily required annual reports were simply not filed on deadline, and the ANC push from 2015 to have Burgess become the intelligence inspector-general effectively had the committee cause an almost two-year vacancy in a statutory oversight entity. That in itself had consequences for the State Security Agency (SSA) under Arthur Fraser that emerged earlier in 2018, when Fraser moved against Inspector-General of Intelligence Setlhomamaru Dintwe, who was investigating the spooks boss’s role in establishing an unconstitutional parallel intelligence network. Fraser was redeployed as director-general to Correctional Services, and in late May President Cyril Ramaphosa announced a review panel to “examine the structure and operational capabilities of the SSA” – and appointed Charles Nqakula, the hawkish JSCI chairperson who over the past year or so seemed to pull the committee together, as his security adviser, thus creating the parliamentary committee vacancy. All this as State Security Minister Dipuo Letsatsi-Duba undertook to ensure the necessary regulatory and legislative changes would prevent another unsightly move by those who by law and the Constitution must account to independent oversight structures. That would involve the JSCI led by Masondo, if the governing ANC has its way. 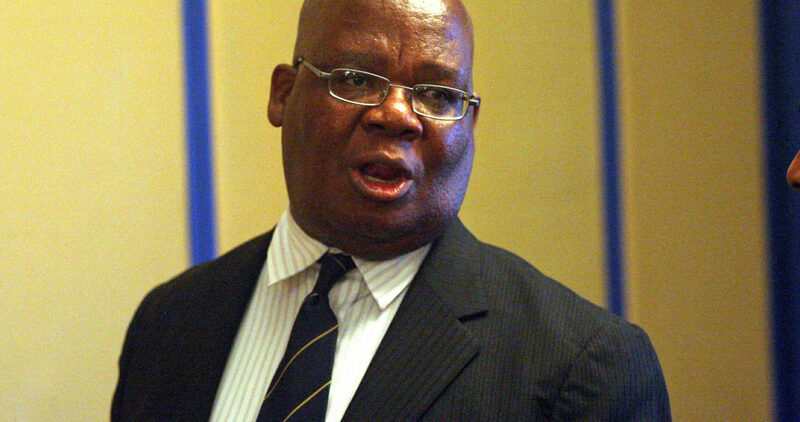 Masondo, who is in his mid-60s, is not known to be energetic or inquisitive, but rather as a party hack. The former Johannesburg mayor (from December 2000 to 2011) came to Parliament after the 2014 elections. He’s served on the co-operative governance committee and is co-chairperson of the ethics committee. Coincidentally, Daily Maverick is reliably informed that the complaint against former state security minister Bongani Bongo was up before the ethics committee this week. According to the Sunday Times, Bongo had tried to bribe Advocate Ntuthuzelo Vanara, the evidence leader in the parliamentary State Capture inquiry into Eskom and other State-owned Enterprises (SoEs). Bongo was returned to the ANC backbenches in President Cyril Ramaphosa’s February Cabinet reshuffle. And if the ethics committee found against him, the ANC MP would face a maximum penalty of a fine equivalent of one month’s salary. And that’s also the maximum penalty ANC MP Vincent Smith would face, if the ethics committee upholds the DA complaint for failing to declare R615,000 received between 2015 and 2016 from a director of Bosasa, the facilities management company that also clinched tenders at correctional services, and which fell under the parliamentary committee chaired by Smith until 2014. Those claims emerged in City Press. Smith has kept a low profile this week after publicly confirming two payments totalling R615,000 in a statement, adding that he’s stepping aside from all committee chairperson posts. That’s three, including the justice committee, where an acting chair is now expected to be elected. But back to the JSCI chairperson nomination. While political parties are still considering the Masondo nomination, the DA is understood to be opposed. But as so often in the party-politicking at Parliament, the DA may find itself isolated – and overruled – as was the case when the House on Tuesday approved nominations for new Electoral Commission of South Africa (IEC) commissioners. Judge Thami Makhanya’s term as IEC Commissioner ended in April 2018, and those of Terry Tselane and Bongani Finca end in November 2018. While there were no objections to Judge Dhayanithie Pillay‚ a labour law expert, and Nomsa Masuku, the current deputy chief electoral officer, the DA objected to Mosotho Moepya, who had served as chief electoral officer until 31 March 2017 when his contract expired, because in the party’s view he had dodged disciplinary action in relation to the IEC head office saga. The public protector found that then IEC chief electoral officer Pansy Tlakula had failed to declare conflicts of interest. Tlakula resigned in September 2014; in October 2016 she was appointed to head the Information Regulator. During Tuesday’s debate in the House, the ANC pointed out how Moepya had argued his innocence in the interviews for the IEC commissioner posts before a panel chaired by Chief Justice Mogoeng Mogoeng. Hence his name was included among the eight submitted for consideration by Parliament’s home affairs committee. By law Parliament must approve nominations, after which they are submitted to the president for appointment. The national legislature is also in a push to pass legislation – five Bills were adopted by the National Assembly in the past two weeks – as those draft laws not passed by the time Parliament rises for the final time before elections in 2019 will lapse. On Tuesday the opposition DA made much of its resistance to Moepya, but not a peep came from anyone in the House over the process that whittled the submitted eight names down to three in two committee meetings over two weeks, with three days between 21 and 24 August allowed for written public comments. According to an official statement, 32 were received, though it’s unclear the extent to which these were deliberated on. More extensive public participation has unfolded and is unfolding over a constitutional amendment for land expropriation without compensation. Four days of public hearings from organisations and groups which earlier made written submissions are unfolding in the constitutional review committee, chaired in Smith’s absence by his ANC co-chairperson, Lewis Nzimande. These hearings are tricky in that most of the processed written submissions – in contrast to the countrywide public hearings – indicated that no constitutional amendment was needed for accelerated land reform. And in various ways, the kernel of most of was communicated ran along these lines: even if the Constitution were amended, if there was not legislation to affect land reform, the Constitutional amendment was of little consequence. AfriForum’s submission, headlined “Expropriation without compensation, a disaster in waiting”, likened this to “claiming KFC is expanding in a way chickens are protected”. Instead people would leave South Africa, losing the country its tax base and causing “food shortage for all South Africans”. In any case, the conservative lobby group’s Deputy CEO Ernst Roets told MPs, white people got their land because it was empty when they found it, negotiated for it or conquered it. But across the political divide, AfriForum’s presentation was criticised as “insulting”, “inaccurate” and “arrogant” – and a provocation. “AfriForum acted like a white Black First, Land First (BLF)… What you did today was a disgrace for your own organisations,” said ANC MP Nic Koornhof, as DA MP Glynnis Breytenbach distanced herself from everything said. Down the parliamentary corridors, a little while earlier, Deputy President David “DD” Mabuza told the National Council of Provinces (NCOP) that land reform would be handled responsibly, but it was necessary, as it was at the “heart of (economic) emancipation”. “Our intention is to amend the Constitution to give government the right to expropriate. But be careful, we are not going to disrupt the food that we are getting,” Mabuza replied during Thursday’s Q&A session.